Just How Do Australians Consume Their Online Content? Marketing pioneer John Wannamaker is little known today, but this 19th century retailer became a household name across America after launching ‘Wannamakers,’ one of the first ever department stores in 1896. Wannamaker became nationally famous, and also carved out a reputation as a merchandising genius, by introducing the concept of price tags, cash refunds and in-store restaurants to American consumers. But he didn’t stop there, and pushed straight through fame towards infamy, by endlessly broadcasting his retail innovations across the country through the then unheard-of, but soon considered obnoxious, practice of buying full page newspaper ads for his new department store. Over the years, his line has been appropriated and repeated so often it’s grown into an cliché in advertising or marketing circles – but the central truth of his point is still valid, and the ‘which half’ dilemma is one of the key questions still facing marketers today, especially those grappling with the issue of how advertising dollars are best spent online. The fear of throwing advertising dollars away, or being forced to rely only on intuition instead of hard data on how consumers behave, has long been a problem facing marketers, especially those allocate their spend for online, mobile and tablet campaigns. Advertising industry body, IAB (Interactive Advertising Bureau) thinks it has the answer, and now for the first time, detailed statistics tracking how Australians consume online content will be available each month, following the launch of the first IAB Nielsen Mobile Ratings Report this Wednesday. 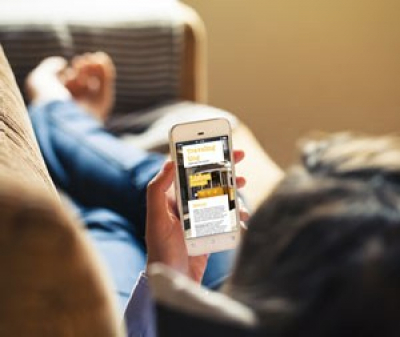 A joint initiative between IAB and AC Nielson, the reports will track the browsing habits of over 2,500 Australians, and offers advertisers the first comprehensive measurement of online content consumption by local smartphone and tablet users. The first Mobile Ratings Report used data collected through this sample group, to give us a snapshot of our national mobile habits, with a few surprises along the way. How Do Australians Consume Their Online Content? 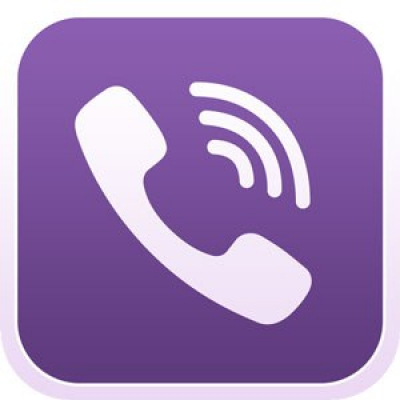 • Communications app Viber now has a bigger unique audience in Australia than higher profile rivals Snapchat and WhatsApp. • Australians spend more time on smartphones than desktops or any other digital device, with an average of 33 hours logged each month for users browsing or engaging with apps. • 75 per cent of Australian mobile users are now accessing online banking or other financial services through their device each month. • 9 million Australians used commerce or shopping sites on their smartphone and 5 million on their tablet. • Over 10.7 million Australians used video and streaming services on their smartphone and 5.1 million on their tablets. • Google and Facebook are the leaders in both smartphone and tablet rankings for Australian users. Local companies also feature, with Telstra, Yahoo7, Fairfax and News ranked highly. The Mobile Ratings Report will continue to be published each month, but IAB’s Research Director Lisa Walsh, says this is just the first step towards providing Australian advertisers with digital audience measurement rankings on a daily basis. In an interview with AdNews.com.au, Walsh went on to explain that her hope is that by providing data around mobile behavior the report will drive more innovation in mobile ads and content delivery. “The necessity to be in and on mobile will be the mother of invention in terms of improvement of ad units on mobile,” she says. Reports like IAB’s can’t answer Wannamaker’s ‘what half’ conundrum by themselves, but this one does provide a useful guide to growth trends in the mobile space, and a resource when deciding where your online ad budget should go to deliver the best results. If you’re interested in learning more, the report is accessible through the IAB via this link (but does require signing up for a paid membership). An in-depth examination of the findings is also available via Mumbrella.